Disc herniation is one of the most common causes of neck and back pain. As specialists in the spine, our Nashville chiropractors routinely relieve disc herniation and related symptoms. The human spine is made up of 26 vertebrae which are separated by cushions called intervertebral discs. These spinal discs are made up of a soft, jelly-like substance (nucleus pulposus) which is encased by a tougher, fibrous ring (annulus fibrosus). This exterior can become torn, or ruptured, allowing the soft interior to protrude. The bulging spinal disc may place pressure on the spinal nerves and ligaments. This nerve compression can cause pain, tingling, muscle weakness, and numbness along the pathway of the affected spinal nerve. It is also possible that disc herniation can occur without nerve impingement. 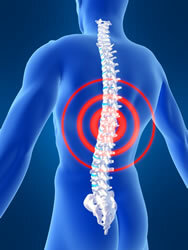 Torn spinal discs may stimulate the release of inflammatory chemicals which may be a direct source of significant pain. Another cause of disc herniation occurs when the connective tissue between the disc and vertebrae separate (avulse) in a process known as endplate junction failure. In fact, recent research has suggested that most cases of lumbar disc herniation are actually caused by endplate junction failure rather than ruptured discs, as previously thought (1). Disc herniation can occur with bending, twisting, or lifting something heavy or incorrectly. Auto injuries, blows to the back, work injuries, and falls may also result in disc herniation. Aging is probably the most significant risk factor for disc herniation. As our bodies age, the spinal discs begin to produce less water content, making them prone to tear or rupture. Being overweight, genetics, and jobs that require you to lift heavy objects can also put you at a higher risk. Lumbar (Lower back): This is the most common type of disc herniation, causing pain in the lower back which often radiates into the hips, buttocks, legs, and feet. Patients may experience sciatica if the sciatic nerve is the lumber spine is impinged or irritated. Cervical (Neck): The second most common type of disc herniation causes neck pain, and often radiating symptoms in the shoulders, arms, and wrists. Thoracic: Disc herniation in the thoracic spine, located in the mid to upper back, only occurs in 0.15-4% of patients. You may have heard of the terms "slipped disc" or "ruptured disc," which are two other terms often used to refer to disc herniation. The term "slipped disc" is actually a misnomer, since spinal discs are firmly attached to the vertebrae and cannot "slip." Rather, the disc is ruptured, torn, degenerated, or herniated. Our Nashville chiropractors use spinal adjustments to ease pressure on the irritated spinal nerve, allowing the nerve to heal over time. Exercise rehabilitation can promote recovery by strengthening core muscles and spinal ligaments, while improving flexibility and making you less prone to injury. This treatment approach has proven to be successful in a number of medical studies (2-3). Call our office in Nashville, TN for relief from disc herniation today. Rajasekaran S, et al. ISSLS Prize Winner: The anatomy of failure in lumbar disc herniation: an in vivo, multimodal, prospective study of 181 subjects. Spine 2013; 38(7): 1491-1500. Robert JA and Wolfe TM. Chiropractic management of a veteran with lower back pain associated with diffuse idiopathic skeletal hypertrophy and degenerative disk disease. 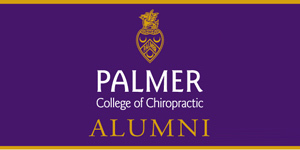 Journal of Chiropractic Medicine 2012; 11(4): 293–299. Peterson CK, et al. Outcomes from magnetic resonance imaging–confirmed symptomatic cervical disk herniation patients treated with high-velocity, low-amplitude spinal manipulative therapy. : a prospective cohort study with 3-month follow-up. Journal of Manipulative and Physiological Therapeutics 2013; doi 10.1016/j.jmpt.2013.07.002).